Ms Austen, EQ7, Frustration and them Perfection! Well, the weather is absolutely beautiful here in South Texas. Wish it were this way year round, well, I do like the cold weather during winter, but this would be nice if we had a mild summer. See how positive I am? Well, that is a coverup! I have discovered that frustration lies almost anywhere there is a quilt pattern! Oh well. I started out with a 12″ block for my Jane Austen project. Of course, I have to take credit for messing that one up. I had the fabric selected, BUT, when one does not cut it out the way it was laid out – need I say more. 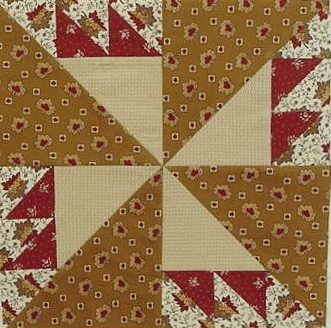 I did not like my colorway, and I really did not want to make a large quilt, so I decided to make my blocks 6″. I have Blockbase and EQ7, so I figured this would be much easier……. OK, again I mis-calculated that one. I cut block 2 out based on the EQ7 rotary cutting instructions from the 1802c block. I selected the size as a 6″ block (finished). Well, what I ended up with was a mess – The squares were cut a 1 3/4″…. The HSTs were 1 1/2″………..So I had a decision to make. 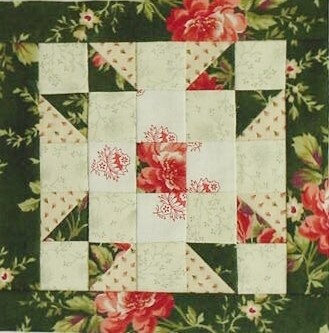 Either redo the HSTs and make them 1 3/4″ or cut the squares down to 1 1/2″. I took the easy way out, cut them, laid them on the sewing table and quit for the day. I decided to play Scarlett O’Hara and think about it tomorrow (now today)! This morning I started sewing the pieces together………..Nice – the block would never be 6 1/2″ unfinished – it was to be a 5 1/2″ square, well not really. I called EQ7 and discussed this with them. Of course we all know that computers do not lie………The bottom line is this. I should have realized that the block was a 5 grid block – not a 6 grid block! But I did not believe I needed to really pay attention to that one – so shame on me again. By the time I had wasted my expensive fabric (I know it was not that much but the time involved is) I realized that I needed to confer with EQ7 again. The block is set for 6″ finished, but the grid is set at 25 instead of 24. Now I will lose those who hate math, but the problem is that when you divide 6 by 5 you get 1.2! That means that the block is not going to be an easy one to do to achieve a 6″ block finished! In fact – it will never happen. EQ7 told me to use the templates – Well, I did and guess what! The block came out to 6 3/4″ square —– OK – I thought I would just not do the project as by now I have a massive headache! But the old “stick-to-it-until-you-die” attitude came into play. I sewed the block that I had cut out yesterday using all pieces at 1 1/2″ (squares and HSTs) The block came out at 5 3/8″ – Wonderful. But I decided to add a border (the young man at EQ7 made that suggestion) and so here is the outcome. I like the block – It will be interesting to see if I continue to have issues with the blocks. Hopefully I am a little more distrustful of EQ7, along with quilting patterns. Please note that I am not slamming anyone or EQ7… I am just sharing how a Perfectionist can drive themselves nuts! But I have the answer and I understand and am smarter for it. Maybe next week I will not have to take 6 hours to make a 6″ block! It is now time for me to become Susie Homemaker and go cook Spaghetti for my Dear Hubby is building a wonderful porch roof for our Studio. 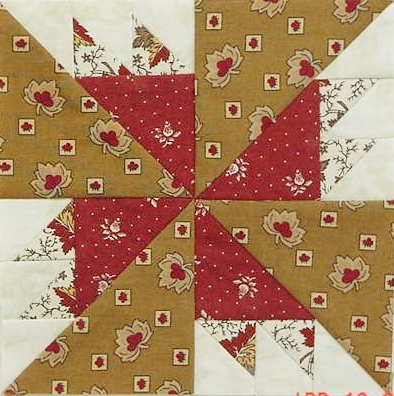 It will be so nice to go outside in the shade and Applique’ when I become frustrated with 6″ blocks. Hope all had a little laughter on my behalf! Lightens the soul! This entry was posted in Uncategorized and tagged EQ7, Jane Austen BOW. Bookmark the permalink. ← Catching Up and Still Washing Fabric! I very much like your blocks. The colors are just lovely. Good job and it is worth all of the brain stretch in the end.